The Daniel Plan is a program designed to help you take hold of and grow in your whole-person health and wellness. Created by Pastor Rick Warren and a team of world-renowned Doctors and wellness experts, The Daniel Plan focuses on providing tools and resources to help you transform in body, mind and soul. Named the Christian Book of the Year in 2015, the Daniel Plan has since been adopted by churches all around the country and has changed the lives of thousands of Saddleback members. This year-round program will dive deep into how Faith, Food, Fitness, Focus, and Friends impact your overall wellness. Through large-group workshops, on-campus studies, and a variety of videos and tools, we’ll walk into this health journey together. For information on our 2019 launch event and Food Seminar, click here. To purchase Daniel Plan studies for your small group, click here. To check out additional resources and sign up for the weekly newsletter, click here. 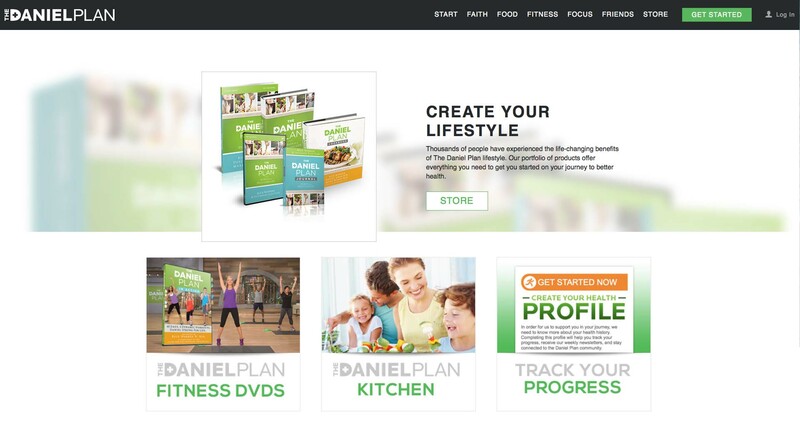 To join the Daniel Plan online support community, click here. To see the schedule of Sports & Fitness offerings at Saddleback Lake Forest, click here. Creating big and lasting change always happens best in community. We encourage you to grab a friend, neighbor, family member or colleague and dive into one of our video based small group studies. We also have numerous other resources to support you, along with a weekly newsletter filled with tips and tools to keep you inspired. If you are looking to connect with others for workout, check out our Daniel Plan Sports and Fitness Offerings. And if you’d like to consider our online community, we’d love to connect there as well.